Got the late-night munchies in the LES, but only a few bucks left in your wallet? Or are you looking for a lunch deal when awaiting your next paycheck? Stop by one of these restaurants in the neighborhood for the best cheap eats under $10. 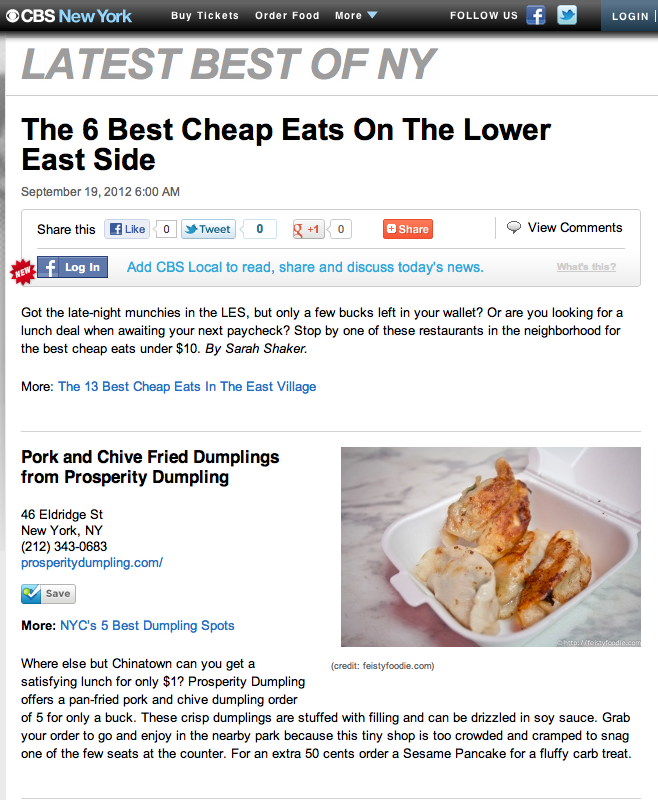 Check out CBS New York for my article on The 6 Best Cheap Eats on The Lower East Side. P.S. 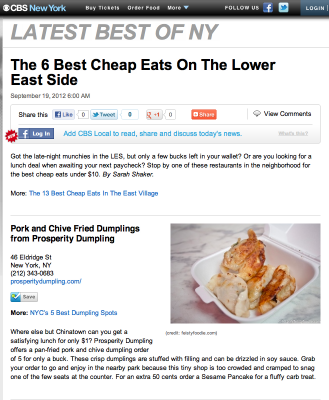 And just incase you missed it, check out my article on The 13 Best Cheap Eats in the East Village!